Published Feb 17, 2017 By Julia 5 CommentsThis post may contain affiliate links. 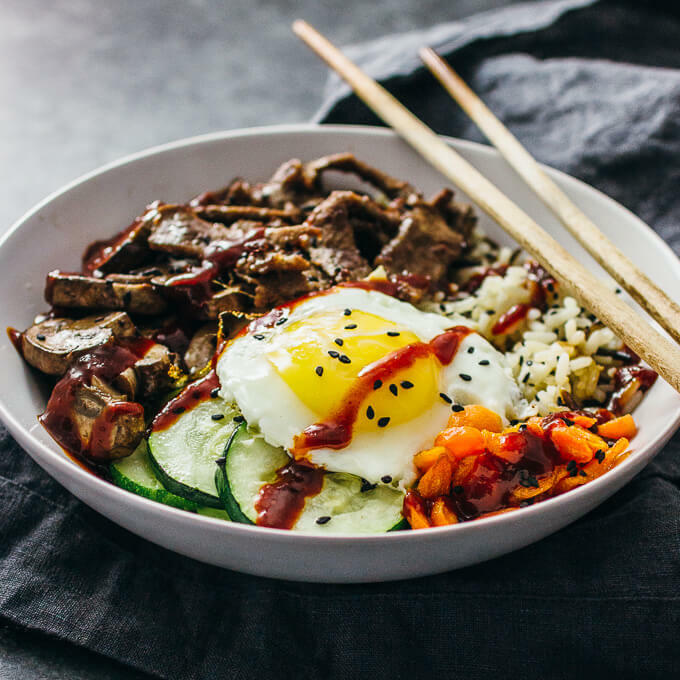 Bibimbap is a Korean beef bowl with rice, marinated beef, an assortment of vegetables like mushrooms and zucchini, and sunny side up eggs. Everything’s tossed in a deliciously spicy-sweet bibimbap sauce. It was about a decade ago when I first tried bibimbap. It was a comically huge bowl of pan-seared vegetables, steamed rice, marinated meat, a somewhat raw egg, and lots of spicy sauce, served in one of those general Asian restaurants that seem to offer all possible kinds of Asian food (Chinese, Korean, Japanese, Thai, you name it!). I was skeptical at first, but I was immediately won over by all of the textures and flavors, and of course, its unique hot sauce. Since then, I’ve always ordered bibimbap whenever I found myself in a Korean eatery. 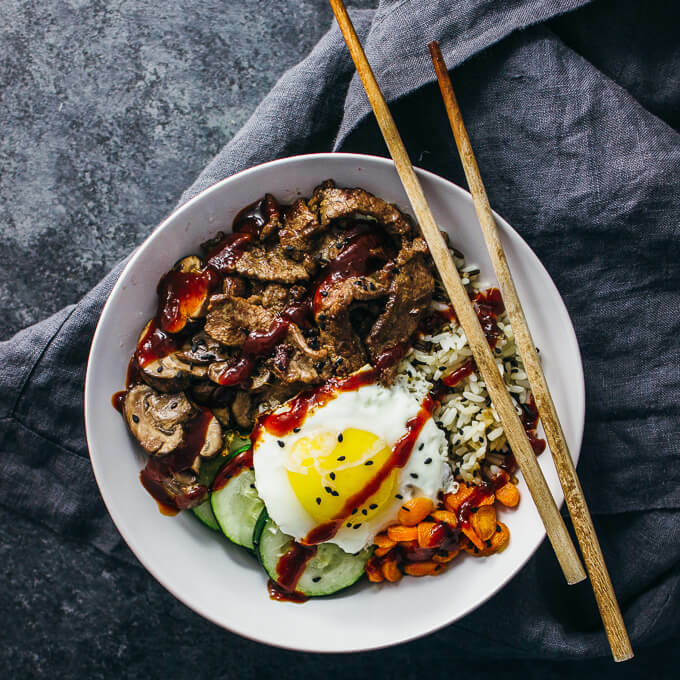 There are a lot of variations on bibimbap — after all, this dish or variants of it has been around for centuries — and this recipe is my rendition with my favorite bibimbap ingredients. Rice is absolutely necessary for bibimbap; in fact, some people refer to this dish not so much as a Korean beef bowl but as a Korean rice bowl. 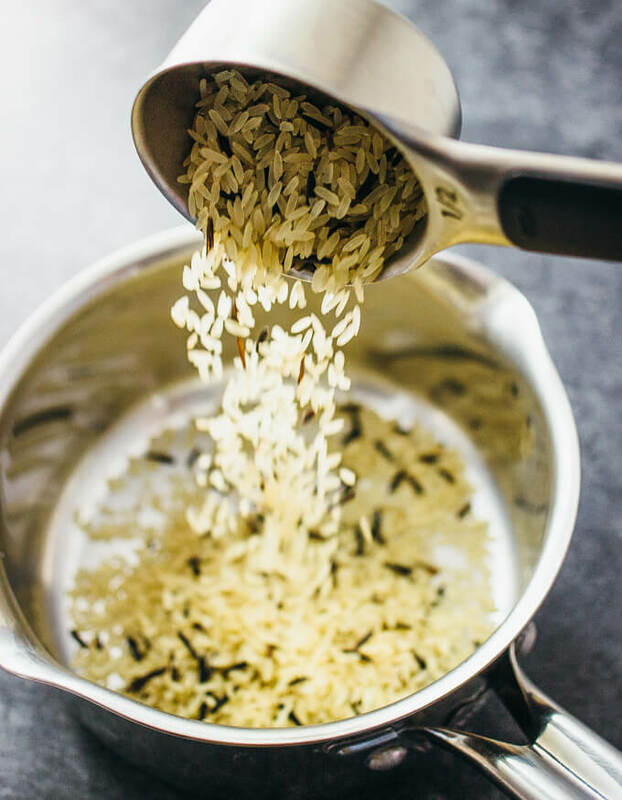 I used Uncle Ben’s Long Grain & Wild Rice, which is great for balancing the strong flavors in this dish and for adding extra nutritional value. You can easily make a big batch of bibimbap. 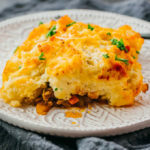 Since you’re going to need to cook all of the vegetable and meat toppings, it’s just as easy to cook larger volumes of them and make a week’s worth of meals. Bibimbap bowls make for delicious and envious lunches that you can bring to work, and they reheat well in the microwave. You can use any raw or cooked leftover vegetable sitting in your refrigerator. 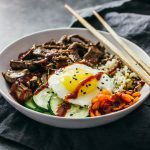 Bibimbap goes well with almost any vegetable and this is a great way to clean out and deliciously repurpose your leftovers. Great ideas include cucumber, zucchini, carrots, mushrooms, spinach, lettuce, tofu, and sprouts. Even the beef can be substituted with chicken or seafood. 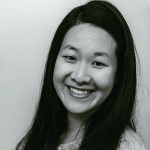 Let’s talk about the bibimbap sauce. Traditionally, gochujang is used, which is a thick Korean chili sauce made using red chilis and fermented soybeans. It’s a staple in Korean cooking and has a very distinct taste that makes bibimbap unique. You can find gochujang online or in specialty stores. If you’re wondering what else you can use gochujang for, I have plenty of ideas for you — it can work splendidly as a meat marinade, a glaze for chicken wings, a spicy dipping sauce, or as a tofu stir-fry sauce. If you don’t have gochujang, the next best thing to use is a mixture of sriracha and soy sauce. If you love rice bowls like bibimbap, check out my beef and broccoli rice bowl. 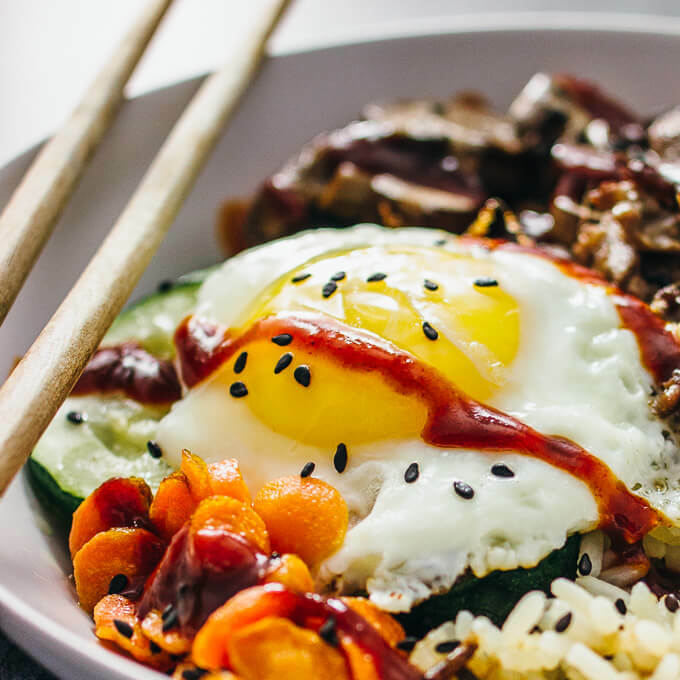 Bibimbap is a Korean beef bowl with rice, marinated beef, an assortment of vegetables like mushrooms and zucchini, and sunny side up eggs. 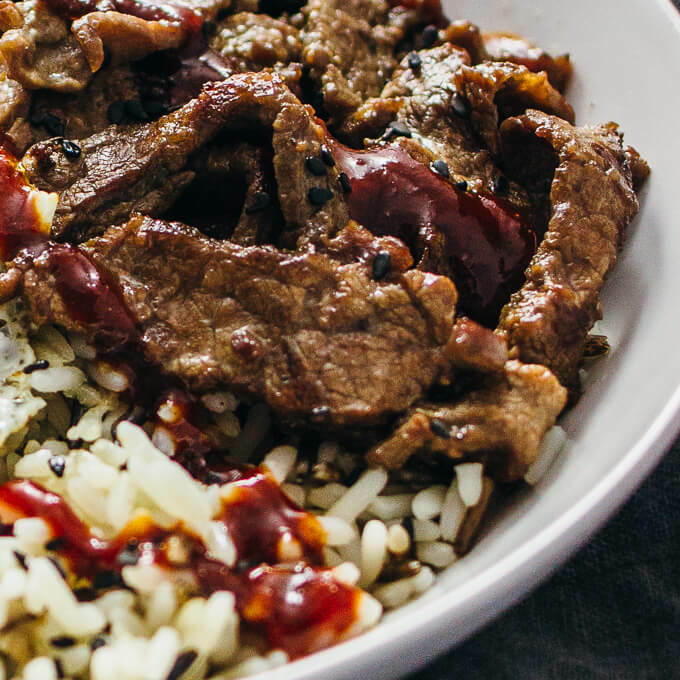 Make the marinade: Rub corn starch onto sliced flank steak in a bowl. Drizzle soy sauce over the steak. Let sit in the refrigerator for at least 30 minutes. Cook the rice: Cook rice according to package instructions. Distribute the rice among 3 serving bowls. Cook the toppings: Heat a pan over medium heat until hot, a few minutes. Cook each of the vegetable toppings in turn, until they just start to become tender, about 8 minutes for the carrots, 5 minutes for the mushrooms, and 5 minutes for the zucchini. Sear the steak until no longer pink, about 3 minutes. Fry the eggs on one side until the whites are firm but the yolks are still liquid. Assemble the bowls: Distribute the toppings among the serving bowls with rice. Drizzle gochujang over the serving bowls. 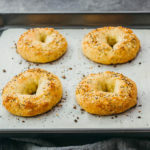 Sprinkle with black sesame seeds. Serve immediately. Just made this tonight – excellent results! I used Ssamjang which is a little more mild than Gochujang and it came out superbly well! Great recipe. Great! Hope you get a chance to make it again soon. 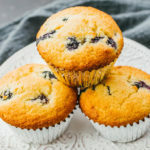 Thank you for taking the time to share these delicious foods! My husband lived in Korea and is always looking for places to eat. I love that I can make it for him. Thanks!